Vespa VPTB11 Nylon Folding Messenger Bag in Dark Grey. New collection of highly practical and functional nylon bags. 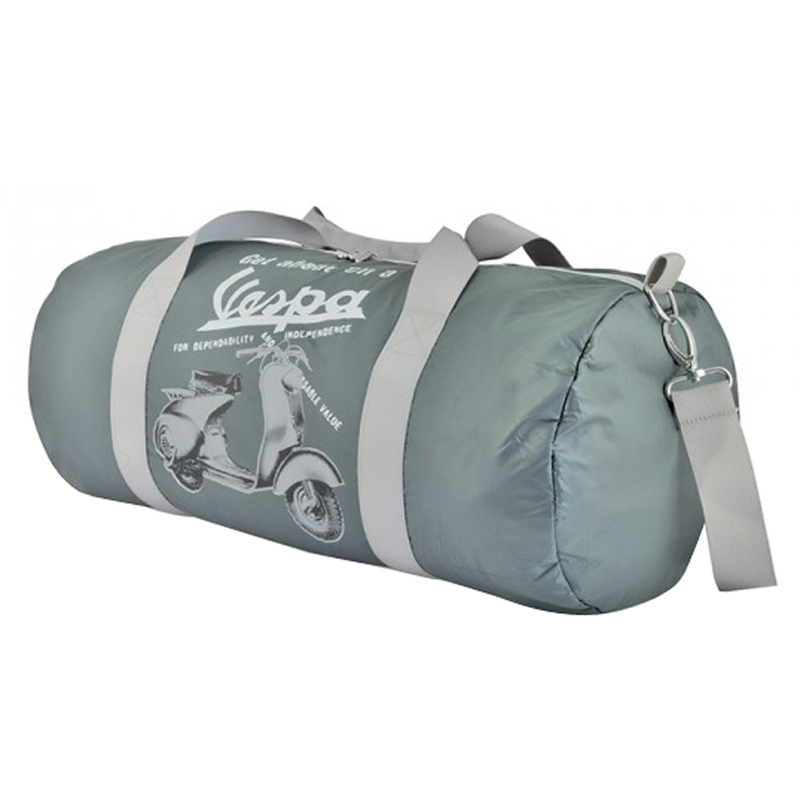 Reseable bag cm 15 and on the front with the printed image of a Vespa advert. Dimensions cm 50 x 27 x 27.